While William the Conqueror is found in most history books, many do not know the Normans conquered as far as Italy. In his book, The Normans: From Raiders to Kings, Lars Brownworth tells the full, fascinating story of the Normans. The book, which spans 254 pages, covers the initial Viking raids on Ireland to the exile of the last Norman Prince of Antioch. Some of the material, such as the Norman rise to power in England, is likely familiar to most history buffs. However, Brownworth provides a much broader and fascinating look into who the Normans were and how much they contributed to civilization during their short reign. Brownworth has written numerous books about medieval history on subjects ranging from Byzantium to the Vikings. All of them are easy to read and make the subject come alive. This book covers the rise, reign, and fall of the Normans over the course of two centuries. Like his other books, The Normans: From Raiders to Kings is a fast and pleasurable read. Rather than focus on the minute historical details, Brownworth devotes greater attention to the stories and the personalities that dominated the era. For those who want to know more about a particular period or ruler, the book is a great launching off point. Brownworth has made a name for himself by using his skillful storytelling to make history accessible. He created the first history podcast, “12 Byzantine Rulers,” which Apple recognized as one of the “top 50 podcasts that defined their genres.” Brownsworth has written for the Wall Street Journal and been profiled in the New York Times. His other books include Lost to the West: The Forgotten Byzantine Empire that Rescued Western Civilization and The Sea Wolves: A History of the Vikings. 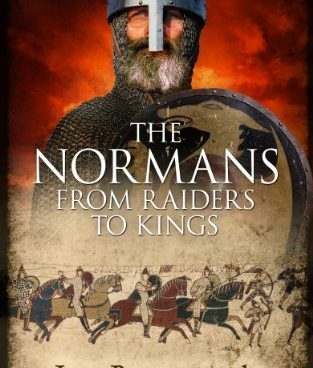 The Normans: From Raiders to Kings is available on Amazon.com in paperback and Kindle editions.